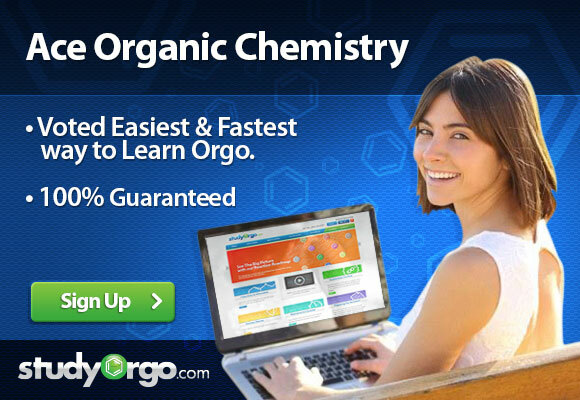 This is the fourth and final part of a multi-part module on Free Radical Halogenation. What principle accounts for the observed regioselectivity of radical bromination that is not observed for radical chlorination of alkenes? Which product can NOT be prepared in high yield by radical halogenation of alkanes? Predict the major product of the following reaction. Explanation: Hammond’s Postulate describes the stability of the radical center is outweighed by the extreme exothermicity of radical chlorination (in contrast to bromination, which is endothermic), thus a mixture of chlorinated products is observed. Explanation: Answers 2,3,4 all would start from alkanes containing secondary and tertiary carbon centers, which produce stable radical intermediates for halogenation. Ethane contains two primary carbons coupled to the extreme endothermicity of iodination would yield very little product. Explanation: The steric strain of the cyclopropane ring will drive the hemolytic cleavage of the 2,4 sigma bond with radical bromine to produce a radical intermediate on carbon 2. Propagation of the radical bromine will result in the formation of product B. Product C and D are not possible while the reagents to produce product A are not listed. Explanation: Addition across the double bond with one equivalent of Br would more easily take place via an electrophilic addition using an equivalent of HBr, while radical bromination would produce dibromo-pentane.